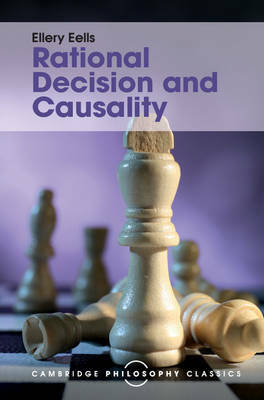 First published in 1982, Ellery Eells' original work on rational decision making had extensive implications for probability theorists, economists, statisticians and psychologists concerned with decision making and the employment of Bayesian principles. His analysis of the philosophical and psychological significance of Bayesian decision theories, causal decision theories and Newcomb's paradox continues to be influential in philosophy of science. His book is now revived for a new generation of readers and presented in a fresh twenty-first-century series livery, including a specially commissioned preface written by Brian Skyrms, illuminating its continuing importance and relevance to philosophical enquiry.